And every time I utter those words, I blow strangers minds. They can barely contain themselves before asking “Is that a real job, you get paid for that?” Apparently! Or at least, I seem to have figured out a way to make that happen. Don’t get me wrong, I really don’t mind explaining. I look at as an opportunity to share my passion for Classical music with the world. You see, I’m a professional clarinetist. It’s a multifaceted and exciting career. I play with two regional orchestras, that I won auditions with: The Symphony of Northwest Arkansas in Fayetteville, Arkansas and The Monroe Symphony in Monroe, Louisiana. I love both of these groups, there’s nothing I look forward to more than our Classical concerts! I also get to sub for the Abilene Philharmonic on a regular basis and I gig around the Dallas/Fort Worth area where I live. Oh wait, there’s the other source of confusion…you mean, I play with a group in Arkansas and another in Louisiana but I live in Texas? Exactly. I also have a private studio of about 45 students in Texas and I teach master classes throughout the year as well. Jason, my horn-playing husband, also teaches in the area and plays as well. My ultimate goal? To play full-time in a professional orchestra. So I’m riding the audition circuit, which is taking me to lots of new and exciting places and keeping me very busy practicing. So without further ado, this is the start of my blog chronicling my musical journey. All material © 2011-2018 by Chastine Hofmeister. All rights reserved. Welcome to the blog and website of Chastine Hofmeister. 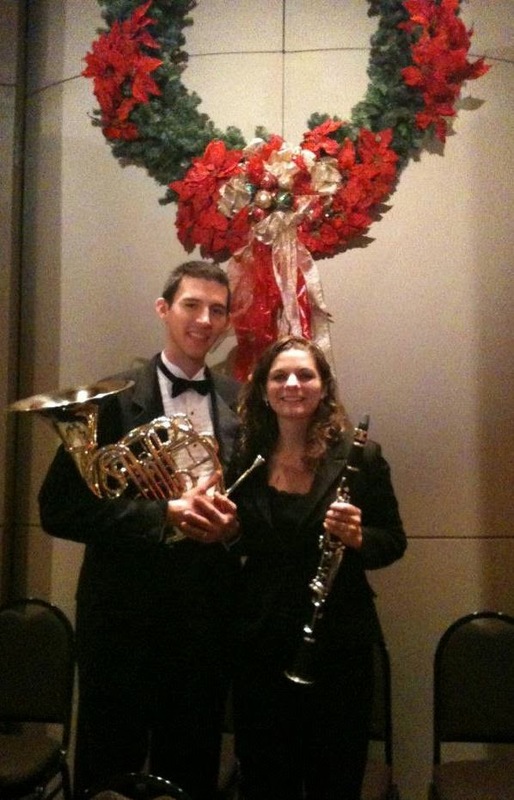 I am the Second Clarinetist of the Longview Symphony and the Monroe Symphony. I also perform with many other symphonies throughout the Dallas area (check out my bio for more info). When I'm not busy performing, I also enjoy distance running, reading, and finding all the delicious coffee that I can.